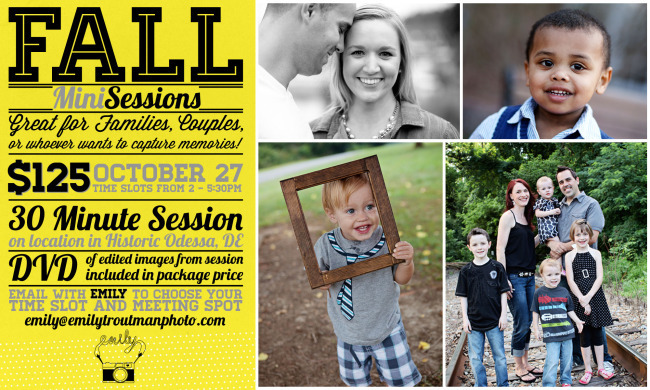 Hey friends, details below on how to get in on Fall Mini-sessions! As you will see, it's a limited time/place and first come, first serve. Please email me with your request and I will let you know of available time slots. If the demand is high, I will consider adding a date. Thanks friends and future clients!